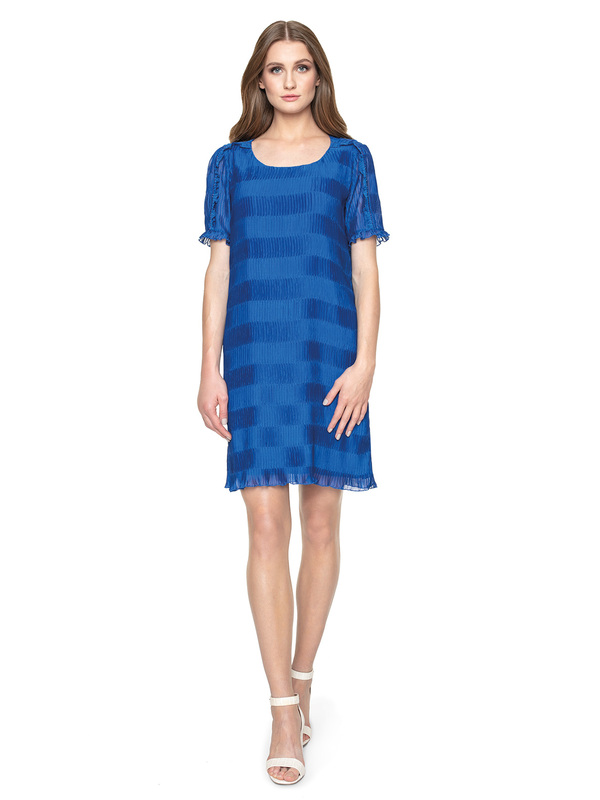 Jessica is an interesting proposition for women who value decorative details in their wardrobe. 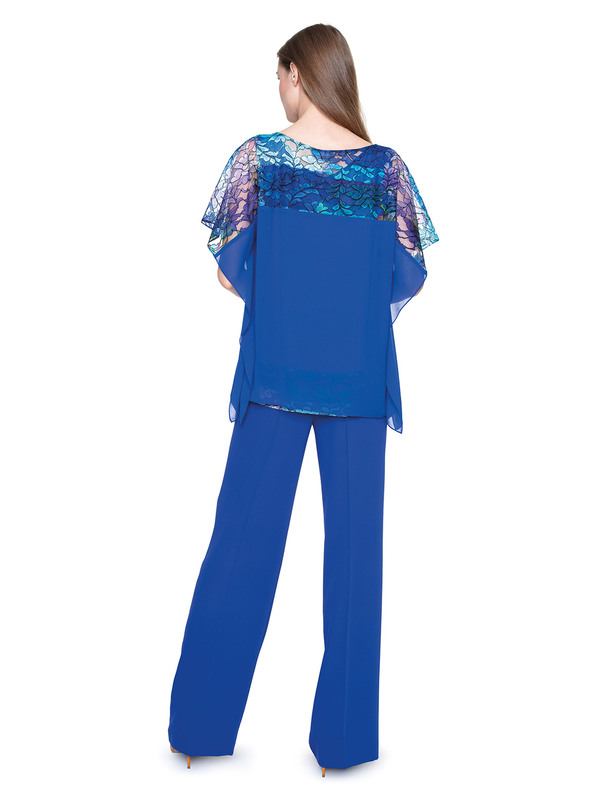 This loose-fitting blue blouse is ideal for evening styling. Jessica is a two-ply sweatshirt. 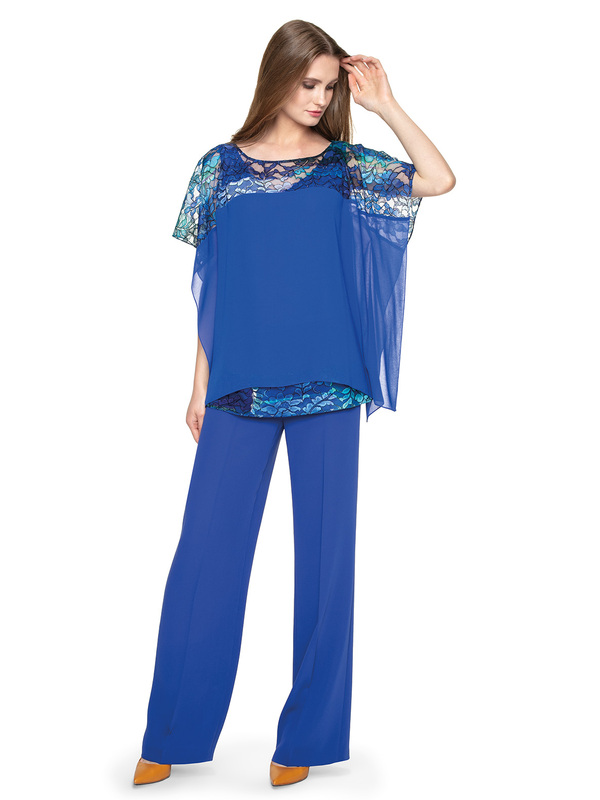 It consists of a top close to the body and a delicate throw-in. 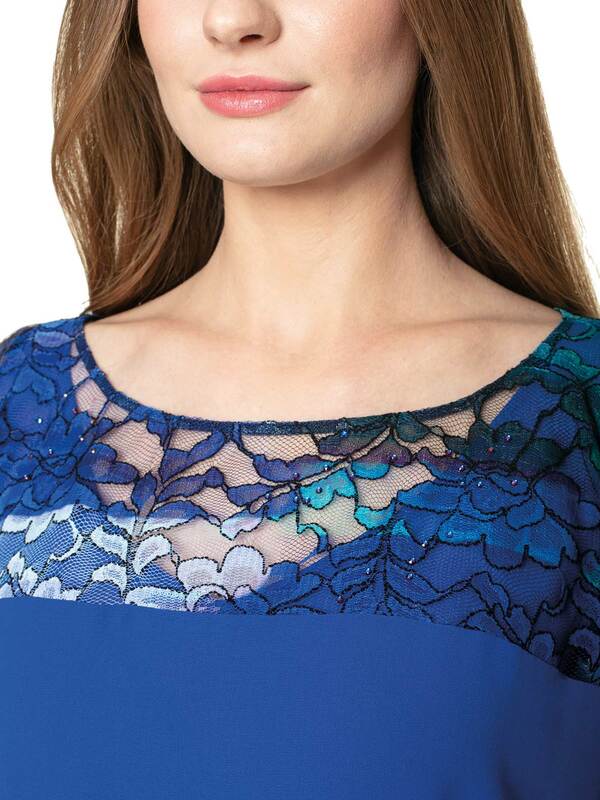 The blouse has wide, translucent sleeves, lace neckline and bottom hems and flickering details. Combine it with a pencil skirt, long trousers in a similar colour (e.g. 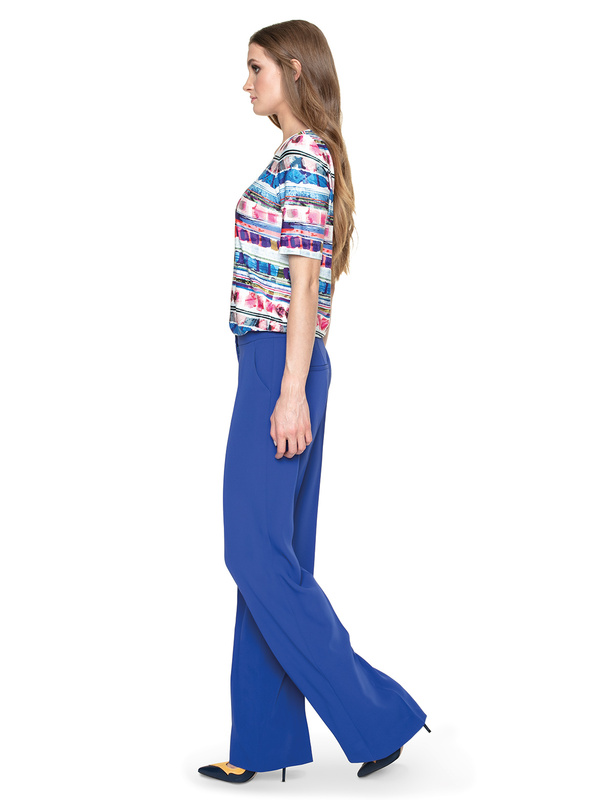 Jessica blue trousers from the same Potis & Verso collection) or tight, white jeggins. For styling, choose shoes in the colour of the bottom, which will give the effect of optical elongation of the legs. Mustard high-heeled shoes and a small handbag in a similar shade are also suitable.